Ehormones MD has 2 offices serving the Philadelphia area – 1 in Lawrenceville, New Jersey and a 2nd office in Bala Cynwyd, Pennsylvania (Philadelpia). For our New York City area patients, Ehormones MD’s New York office is centrally located in Midtown Manhattan. 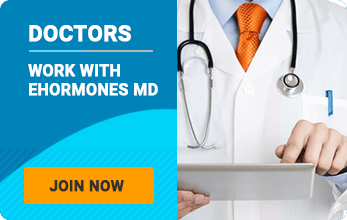 Ehormones MD’s Doctors specializes in Hormone Replacement Therapy, including Testosterone Therapy, HGH Therapy (Human Growth Hormone), diet and fitness. EHormonesMD New York helps both men and women find relief from symptoms of hormonal imbalance such as low libido, depression, hot flashes, weight gain, irritability, fatigue, and loss of muscle. We offer patients Testosterone and Human Growth Hormone (HGH as it is more commonly known) and wellness programs. Through state-of-the-art diagnostic hormone testing, we can determine your hormone levels. The positive effects of Testosterone and HGH can be seen in increased lean mass (your muscle tissue), improved bone density, decreased central body fat, regulated blood sugar levels and improved immune function. EHormonesMD has an integrated natural solution for testosterone replacement. The skilled physicians at EHormonesMD New York offer a full-circle preventive approach to optimal health through personalized fitness programs, tailor-made nutrition plans, and Sermorelin. It is a scientific fact that as we age our hormone production declines. Ask yourself, are you suffering from any of the following low testosterone symptoms? After the age of 30, the natural production of your major hormones including Growth Hormone, Testosterone, Progesterone (and Estrogen in females) begins to decline. Both males and females experience a decline in their quality of life which is directly related to natural hormonal decline. Let us help restore your natural balance!